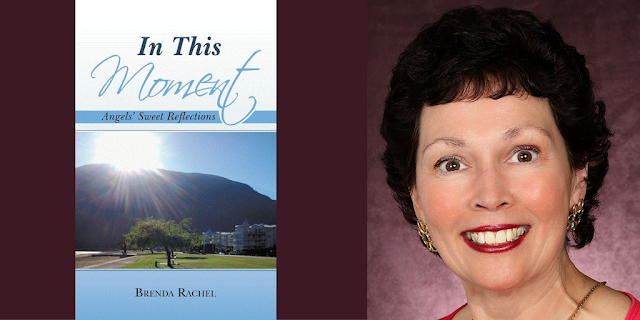 Brenda Rachel, Inspirational and Spiritual Author of the Angelic Quote Book "In This Moment Angels' Sweet Reflections" and Music EP "In This Moment" invites you to be inspired while visiting her website http://www.brendarachel4angels.com. Her desire is to inspire everyone who comes across her path to want to change our world through respect, caring, kindness, compassion and consideration into one of Unconditional Love and Universal Peace. When you were on disability and unable to walk for several months due to bilateral plantar fasciitis in both feet, which emotion was the most unbearable? Not only was I physically disabled, I was also emotionally impaired, as I had lost all Hope of ever having a normal life again. My prognosis was positive if I followed an intense rehabilitation program and wore special shoes (no more fancy dress shoes for me), as I was no longer able to wear regular footwear. I initially had to roll my feet on a pop bottle which had been filled with water and frozen, to bring some relief from the intense, almost unbearable pain. Hiking had been one of my passions, as well as white water rafting, and I was incredibly disappointed that I would no longer be hiking in my forests, communing with God in nature with my dog by my side or rafting on my wild rivers. Without Hope I felt Hopeless. I was lost, sad, depressed, and had no direction or motivation to do anything. Hopeful was not a word I would have heard at that time. How did you overcome the most painful period in your life? My sister sent me a book of Doreen Virtue’s entitled “Angel Medicine” and this was the commencement of my “Journey with the Angels” which has totally turned my life around and helped me heal myself (along with the angels’ help of course) through many disabilities. During this disability period, I asked God and the Angels three questions: What did they want me to learn from this experience? What messages did they want me to share with others? How could I serve them? Did you become a composer and songwriter of inspirational/spiritual music after being an author of an inspirational/spiritual quote book, IN THIS MOMENT ANGELS’ SWEET REFLECTIONS? What or who inspires you to be a composer? I became a composer and songwriter of inspirational/spiritual music before I became a published author. I was used by the angels in both disability periods as their conduit to be a “Messenger of Hope” for them. By sharing my story of being completely disabled for lengthy periods in my life and asking God and the angels my three questions (as stated above in the previous question), the angels began channeling their music and lyrics to me between 2004 and 2006 while I was suffering with bilateral plantar fasciitis. In 2015 when I was completely debilitated with back and hip pain the angels (after me asking them my same three questions) began channeling inspirational/spiritual quotes which were published into my book “IN THIS MOMENT ANGELS’ SWEET REFLECTIONS”. My musical career was very short-lived. I took piano lessons for about 6 weeks when I was 5 years old from my mom, Barbara Solis, who was a well-known Canadian Spanish concert pianist in the Ottawa area. She studied in Spain for many years and I was fortunate enough to be able to visit her while she was in Madrid studying. I continued playing the piano into my teen years, teaching myself, as I was able to read music and mostly played hymns, which I loved to sing while playing the piano. Which exact words of encouragement and love help you personally to rekindle your belief in Hope? Be Love. See Love. Live Free With Love. I believe that when my Spirit is in complete harmony with my Soul’s purpose, I am the Messenger of Hope for the Angels that I was brought here to be. I am excited and passionate about sharing the inspiration and spiritual wisdom that has been imparted to me through them. 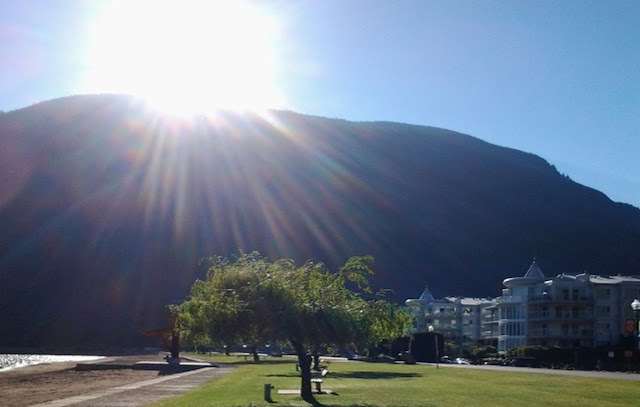 It is my hope and vision that I can inspire “Everyone who comes across My Path to Help Change this World into One of Unconditional Love and Universal Peace through Respect, Caring, Consideration, Compassion and Kindness”.